Is Yahoo Still A Takeover Target? On Tuesday evening,the once great Internet firm Yahoo! Inc. (NASDAQ: YHOO) is due to hold its fourth-quarter earnings call. The company has been struggling to return to growth over the past few years, and Tuesday's results are expected to confirm that the firm's revenue slipped under $1 billion for the first time in 11 years. However, investors are likely to be more focused on Yahoo's guidance for the future, as the company has several options for how to proceed. CEO Marissa Mayer has been working on finding a way to separate Yahoo's assets from those of Alibaba Group Holding Ltd (NYSE: BABA), but tax considerations have hindered those plans. 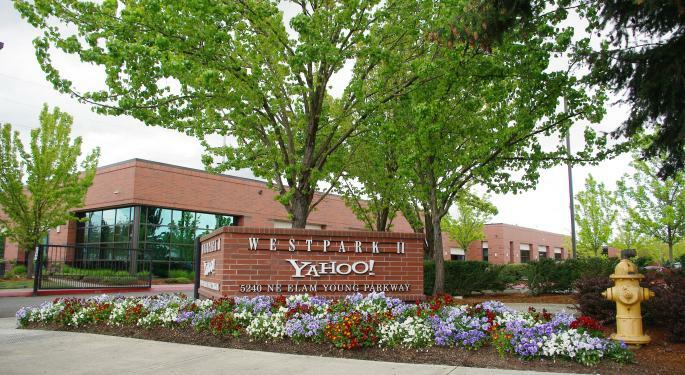 Initially, the firm was planning to spin off its Alibaba holdings, but tax consequences made it more favorable to transfer Yahoo's assets to a new company instead. Mayer said she believes such a decision would make the firm's operations more transparent. Related Link: Google, Yahoo And LinkedIn: Who Can Beat Earnings Expectations? One reason transparency is key could be Yahoo's plans to sell itself to the highest bidder. Many analysts foresee the firm being sold to a third party, and many of Mayer's decisions support that theory. On Tuesday's earnings call, Mayer is widely expected to announce a sweeping cost-cutting plan that will close several of the firm's business units and trim the workforce by around 15 percent. The trim is likely to make Yahoo an even more attractive takeover target. 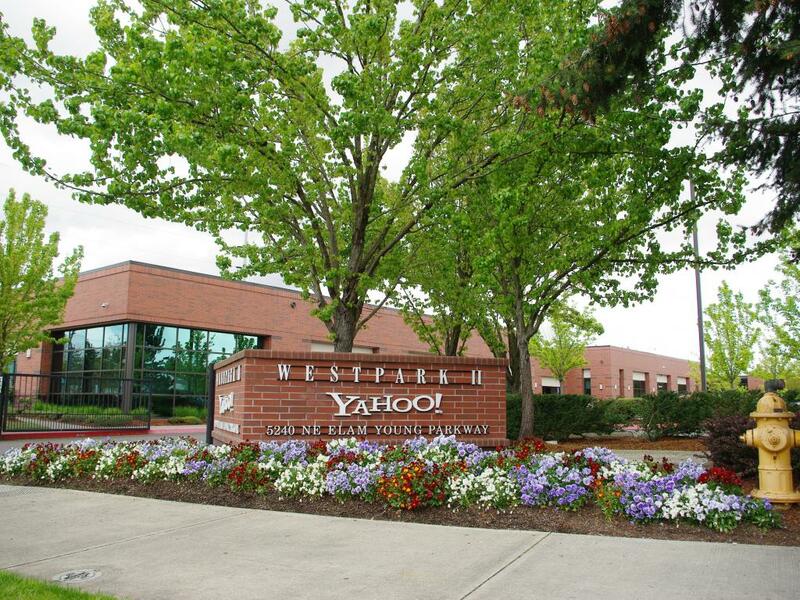 So far, the only confirmed interest in a Yahoo takeover has come from Verizon Communications Inc. (NYSE: VZ). The telecom company bought similarly struggling tech firm AOL, Inc. (NYSE: AOL) in 2015, and Yahoo's core business would also mesh well with Verizon's initiatives. Yahoo offers a great deal of content as well as advertising technology, both of which would help improve Verizon's targeted advertising efforts. Outside of Verizon, some are expecting to see hedge fund managers or media firms express an interest in Yahoo, while and others say big names like Apple Inc. (NASDAQ: AAPL) or Comcast Corporation (NASDAQ: CMCSA) would be a long shot, but could also throw their hats in the bidding ring should Yahoo go up for sale.